Cushion cut diamonds — one of the most popular cuts of diamonds — date back to the nineteenth century. The cut itself was based on an “old mine diamond” cut or an old European cut diamond. The 19th-century diamond bore a square shape with rounded corners and 58 facets. The modern-day cushion cut bears 64 facets; however, an extra row of facets can be added to the cut for a unique and brilliant look. One of the world’s most famous diamonds — the Hope Diamond — has a cushion cut, both as the central 45.52 carat diamond as well as some of the smaller diamonds surrounding the large blue stone. Because of the number of facets, the diamond is called a “brilliant,” which means that because of the number of cuts, it maximizes the light and has exceptional brilliance. These types of diamonds resemble a cone in appearance and shape. 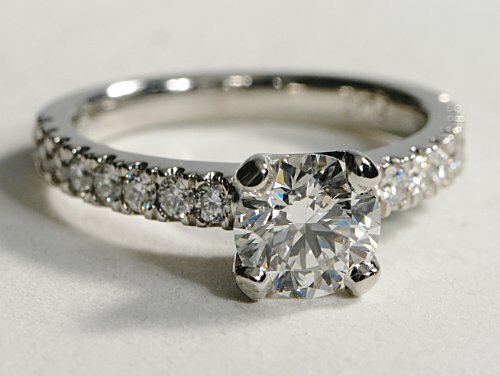 Cushion cut diamonds look beautiful in modern settings, such as a halo or side stone setting. These stones retain their natural color better than other cuts. Many yellow, pink, red, and blue stones are cut as cushions. These rings can be beautifully set as diamond engagement rings or anniversary rings. The sparkle of these diamonds makes quite an impression! When buying a cushion cut ring, consider a GIA-certified HPHT natural diamond. These natural, cushion cut diamonds are suitable for savvy diamond buyers who are looking for top value without sacrificing color, clarity, and cut in their diamonds. Look for flawless, colorless cushion cut diamonds or diamonds in yellow, pink, red, or blue. Choose breathtaking color grades ranging from D to H and high clarity grades from VVS2 to flawless. HPHT natural diamonds comprise less than 1% of the world’s rarest Type 2a natural diamonds. Not only are these diamonds a good investment, but they are also highly desirable and environmentally friendly. If you’d like to learn more about the most stunning, high-quality GIA-certified HPHT natural diamonds, explore some additional facts about HPHT natural diamonds or contact us at Hadar Diamonds and we’ll be glad to share our expertise with you.